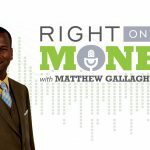 Right on the Money gives these advisors, insurance professionals and fiduciaries the ability to discuss financial topics that matter most to you, with the goal of providing you and your family the necessary information you need to make informed financial decisions for your individual unique situations. To be the go-to resource on any subject, consumers must first hear the message before they put confidence in anyone to grow, preserve and protect their wealth. That’s what Right on the Money does: allows an insurance and financial professional to be a resource to clients while empowering them to take control of their own finances.